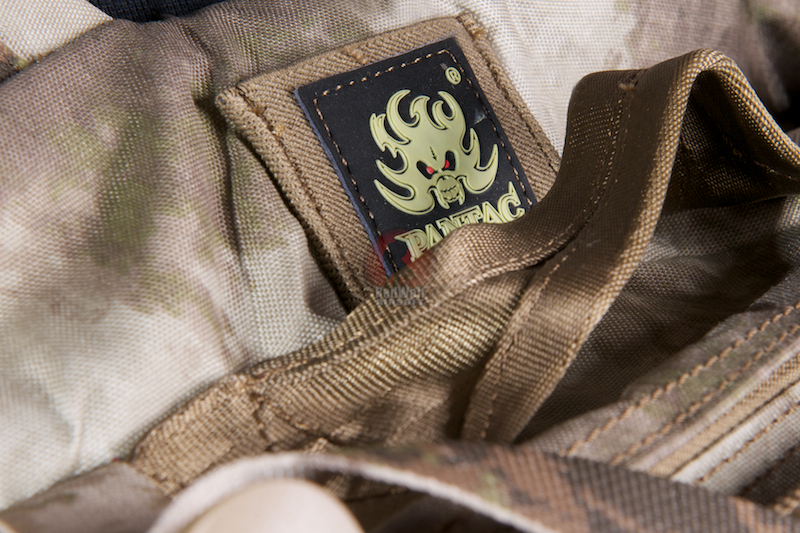 The A-III Medical Pack has MOLLE webbing, to allow for additional pouches and accessories to be added. The quality is exceptional, and is manufactured to the same high standards of the original. 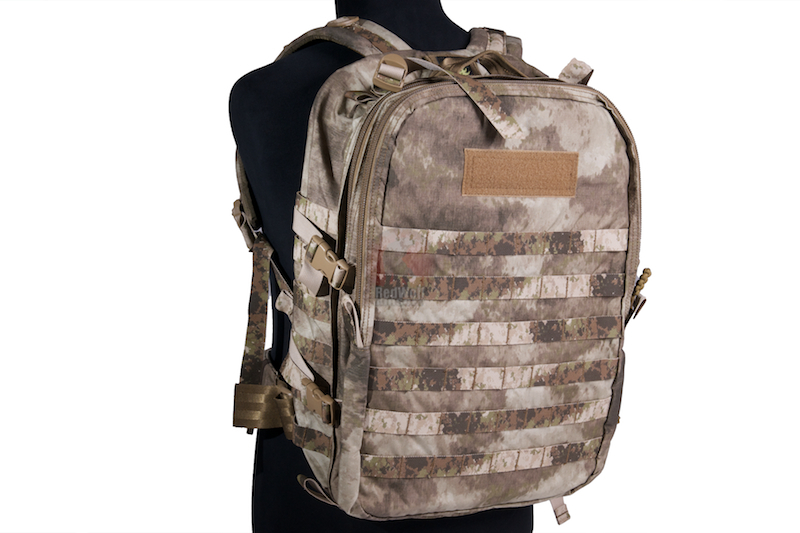 The main features of this product are: The bag is well padded, with padding on the back, shoulder strap, and waist belt. There is a main compartment, and a front compartment. Inside the roomy main compartment, there are 6 urethane coated mesh pouches with a velcro pull-tab opening, the puches are easily replaceable allowing for a customisation of the layout. 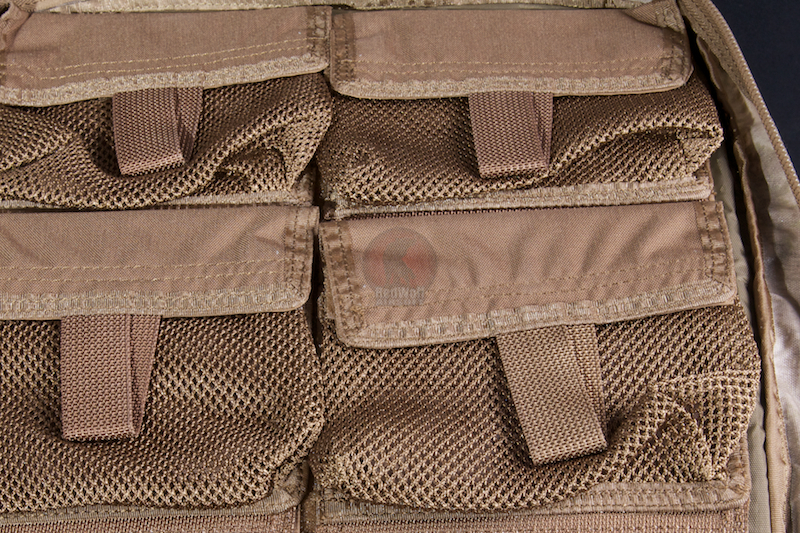 Inside are a couple of detachable pouches (approx 11"x9"x10") which can hold a number of medical accessories. A tri-fold flap covers all this with a conveinient snap lock. 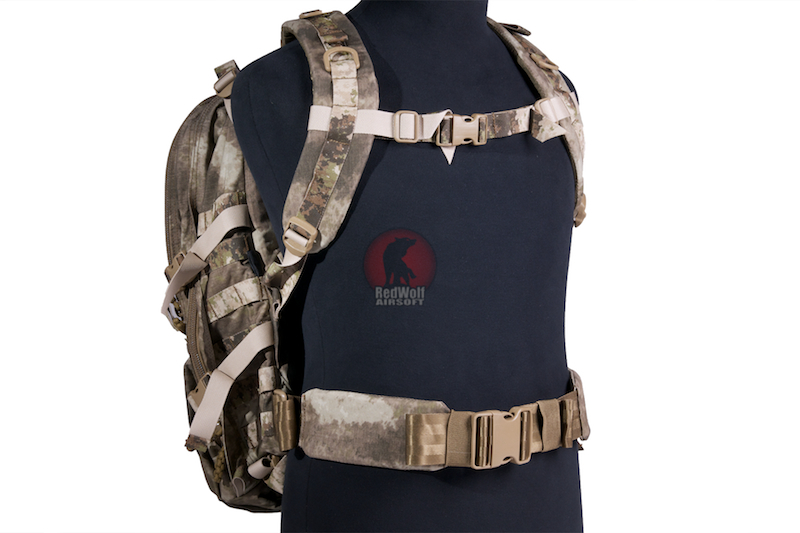 There is plenty of room for storing medical items, with pouches for splints and slots for body armour, also there is space to accept most standard hydration systems. Outer cinch straps and a drag handle on the top of the bag, finish off a rather sophisticated bag. Make by INVISTA Cordura, UTX clip and YKK zipper.